A lot is changing in the fast food industry. People in America and around the world are demanding healthy fast food options, and the restaurants that offer them are set to see major success in the coming year. Let’s face it – people aren’t going to stop hitting the drive-through when they’re on the go and need a bite, but they may be more tempted by fresher, healthier options, like low-sodium and/or low-carb fast food than traditional cheeseburgers and fries. What is fast food? For a lot of people, fast food is almost synonymous with McDonald’s. 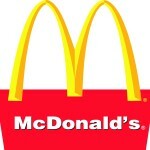 This chain has paved the way like no other and is one of the biggest fast food chains in the world. As a result of some bad press (remember the pink slime?) and a growing demand for healthy fast food options, McDonald’s has already made a lot of bold moves on its menu. Look for more low-sodium fast food and a lot more healthy options in 2016 at the McDonalds menu prices. Rated one of the best fast food chains in the country, Jason’s Deli feels more like ordering from a traditional delicatessen with lots of fresh fruit, vegetables, and other healthy sides, along with lots of healthy fast food options for the entrees, too. With more and more people looking for good fast food places to eat, Jason’s Deli has nowhere to go but up. They may not be the healthiest option in the world, but no one can say no to In N Out Burger. 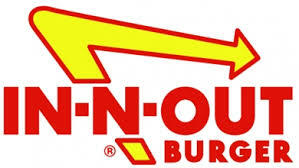 With lots of not-so-secret menu options and the famous In N Out sauce, along with some of the biggest, juiciest burgers around, In N Out is definitely one to keep an eye on. Whether you’re looking for healthy fast food options or you’re just interested in the tastiest burger at the best price, you can’t go wrong with these three options in 2016 especially if you opt for the In N Out Secret Menu. Here at Fastfoodmenuprice.com we like the healthier options.